Most of us are planning trips during this time of the year with family or friends and wouldn’t it be nice to know exactly how much it will cost you in gas to drive and how much at each fill-up along the way? 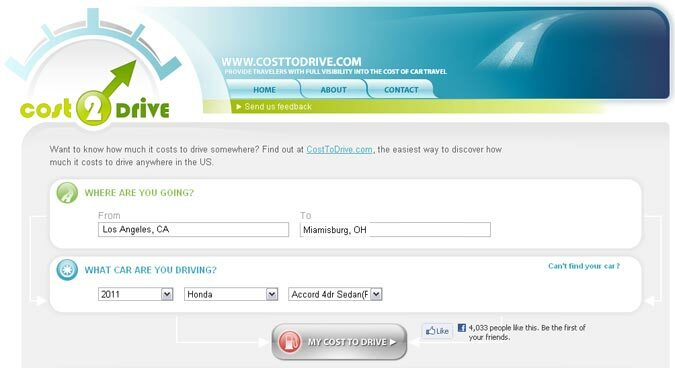 Cost2Drive.com promises to give you those answers. We put this website to test. A cross-country drive from Los Angeles, CA to Miamisburg, OH. After entering the start and destination address, we plugged in the make and model of the vehicle and the website told us it will cost $236 for a total of 2200 miles. Of course, there are a lot of variables driving from one point to the other and no one can be exactly accurate. It also gives you a map of different routes you can take and when you need to fill up and how much it will cost you in terms of driving time estimate and distance you’ll be traveling. It finds the cheapest gas for refueling points along the way from a database of over 100,000 gas stations throughout U.S. 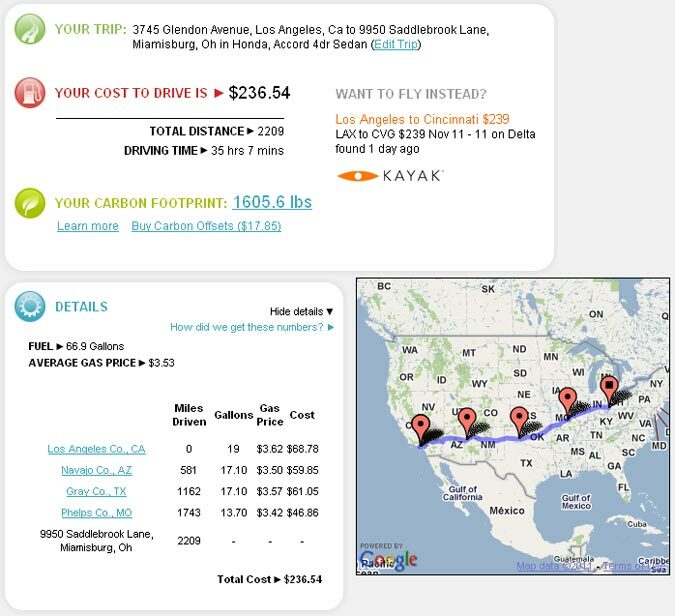 The website will even show you the carbon footprint you leave behind and compare how much it would cost to fly. Cost2Drive.com is also in the process of adding hotel, restaurant and attraction suggestions along the way and is developing a mobile app.